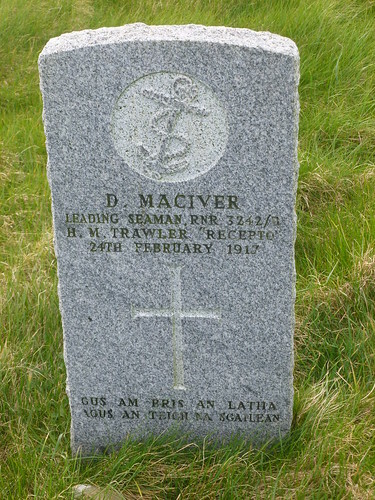 Son of Murdo and Mary Maciver, of 26, Lurebost, Lochs, Stornoway. Donald appears in the censuses of 1881, 1891 and 1901. In 1881, he is aged 3, the son of Murdo (38) and Mary (35), and has Mary (6) and Chirsty (1) as siblings.